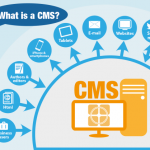 What is CMS, how does it works? One of the most commonly used web development tools today is a content management system (a.k.a. CMS). This is a web application that allows you to update your website quickly. Typically, there’s an admin area that’s referred to as the back-end where these updates and any changes occur. Once published, these things are then displayed on your website’s front end. There are many reasons why you should use a CMS, but the most important reason is that it offers a user-friendly interface with which you can easily add and edit your website’s content. 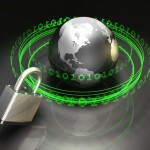 You’ll also discover many plugins that you can use. Most of the plugins are easy to search down and install too. It’s important to know which of these you’ll need before deciding upon a CMS to use. Doing this in the beginning ensures that you’re as productive as possible because the correct tools are right at your fingertips. While this will require you to spend some time doing research, it will save you a lot of money in the future. Once you’ve decided whether you’re building a blog, eCommerce site, or website and have started in on your research, you should reach out to some CMS online communities for help. Therein you’ll find folks that know both the advantages and disadvantages of the various options available. 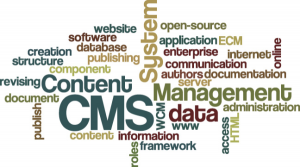 One of the main disadvantages that you’ll oftentimes hear about when discussing a “free” open source CMS is the lack of technical support, which is why many of these CMS communities have sprung up in the first place. 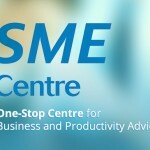 They are there to offer help with technical problems, as well as support when necessary. The most popular open source CMS communities are quite large. Therein you’ll find people who will help you regardless of how much experience you may or may not have. WordPress is the most commonly used CMS today. First released in May 2003, now more than 14.7% of Alexa’s “Top 1 Million” websites are using it. There are a lot of plugins and extensions available that you can easily integrate from your Admin panel. Many of WordPress’ users have joined together in active communities throughout the worldwide web. Drupal is also quite popular because it’s so powerful. First released in 2001, today about 2.1% of all websites are using it. There are a lot of free extensions and modules that you can use with Drupal. Many of these you’ll learn about in the large online community that has formed to discuss technical issues and support one another in the use of this CMS. Magento is also very powerful. Their free version is known as “the Magento Community Edition.” It was first released in 2008 and since then it’s quickly become one of the most popular choices for eCommerce websites. Over the years, there’ve been a lot of extensions created to add more functionality and features to this CMS. Of course, it too has a large open community that’s actually full of both certified and uncertified developers alike. OpenCart is newer in the marketplace, but it’s quickly becoming popular. It’s a simple CMS whose Admin panel is easy to use, and for which there are a lot of extensions that give you more website functionality. There’s also a large online support community available. 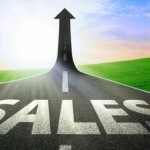 Are you ready for selling online? Having a website for your business long ceased to be a choice; the only question that remains is what kind of website you want to build. We are in the Information Age, and since making an entrance into our lives over 20 years ago, the Internet has revolutionized everything about how we can access information, making life much easier. 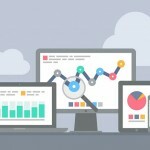 There are many factors that come to mind if you want to build a website. The elements, design, layout and even content will all be guided by the purpose for which the site exists. Every aspect of the site must work towards furthering this goal, so that the synergy between different aspects results in a site that is worth displaying to potential clients in your target market. Below, we offer three pointers to guide you through the planning phase before embarking on any actual design work. If you get the plan right the first time, everything will seamlessly flow from there. 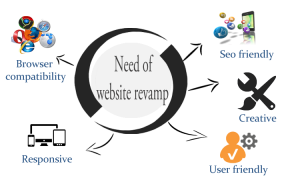 So you are thinking about revamping your website? Why are you revamping? Are you bored with your current site already? Or do you think it could look better? 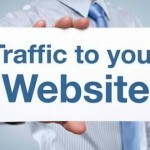 Your website is naturally the determinant of how many leads you generate. Therefore, as you think about redesigning your website, generating as many leads as possible should be at the top of your mind. Think about the business goals and then what you aim to achieve by redesigning your website. Set clear and SMART goals concerning the new site. Up until now, you have been building assets each day with the best intentions. These assets include blogs, inbound links and the content. You don’t want all that to go to waste. 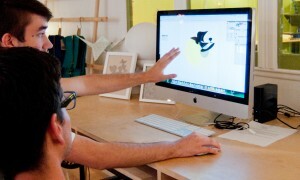 In fact, you want to use those assets to build a better and more functional website.